OTHER [Chinese] isn’t your standard night out at the theatre. 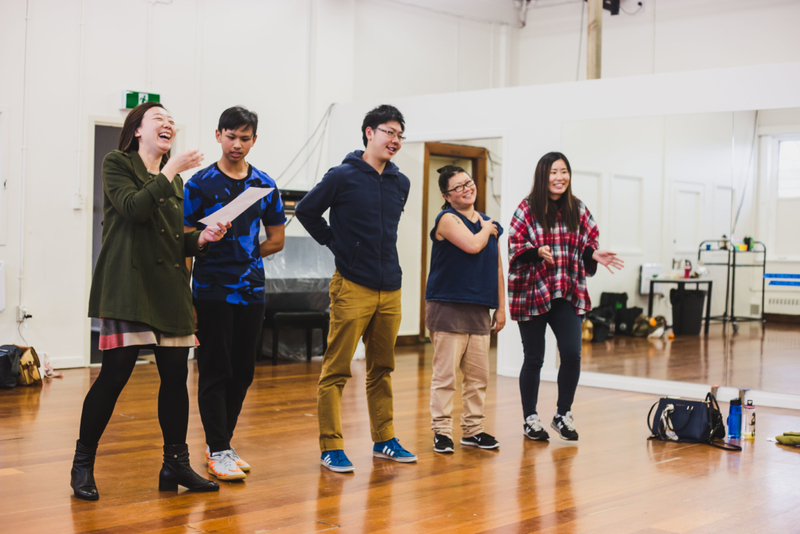 Directed by Alice Canton, and developed over the course of a year in consultation with individuals from various Chinese communities, OTHER [Chinese] is a work of documentary theatre that explores what it is to be Chinese in Auckland in the here and now. Stories that were shared in the initial stages of the production will now be retold on stage through the voices of actors and non-actors alike, weaving together conflicting and often uncomfortable narratives that tackle cultural misrepresentation and discrimination. 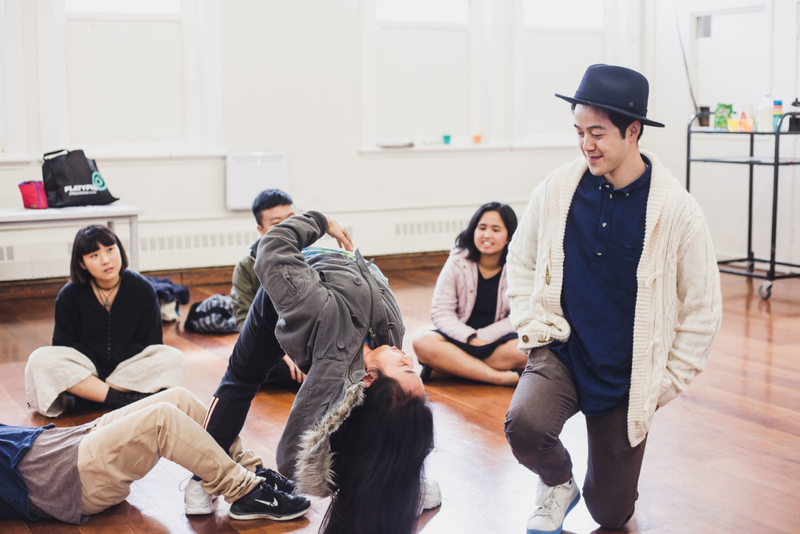 On the eve of the show’s opening, Hainamana caught up with a few of the show’s protagonists to find out about their journey and what it means to have ownership of your own narrative. How would you describe OTHER [Chinese]? 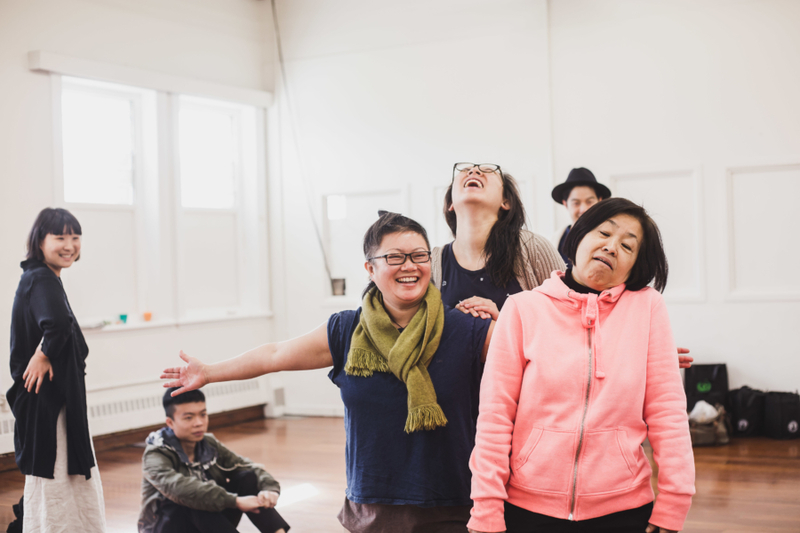 Annie Zhang: A powerful and life changing show exploring cultural identity and what it means to be OTHER and Chinese in NZ through the medium of theatre/arts. Jiheng Peng: Whenever I tell my Chinese friends that I’ve never felt as if I was treated differently or alienated because I’m Chinese, they always laugh. But that’s true. I grew up in China so I didn’t really have a strong sense about any of those issues. When I came to New Zealand, I went to Elam School of Fine Arts. Everyone is cool and chill. My art practice is never about cultural or political issues. I never feel like I’m an “International Student” or “Chinese,” I’m just a person, a normal person. ‘Till one day, I thought: maybe I’m just lucky. What about others? So I was curious about other Chinese who were born in New Zealand and abroad, people who are doing jobs and stuff. What’s their life story and experience? Another main reason is Alice, one of the coolest artists I know, and I just feel HAPPY when she’s around. LQ: I have had numerous crises about my Chinese identity, it’s things like being in denial and trying to be as ‘normal’ and ‘western’ as possible as a teenager and wanting to distant myself from my culture and identity in my art making. This is definitely something that I think and care about a lot and something I am really interested to investigate. I was also involved in the exhibition Elam Studio International was putting together at the time and just really thinking a lot about the pressure to assimilate as a migrant. It really is just where my heart is and there was really no reason not to get involved. AZ: Initially, I was drawn to the workshop Alice had organised to research and explore ideas for the show. I guess, the timing was right. I was embarking on my own journey of self-discovery/exploration in regards to identity at the time. I had just undergone a period of significant change in my own life. I had just had a baby and become a new mum. I was confronting issues of my own identity, both culturally and otherwise. Who was I now (as a new mum)? And how Chinese will Poppy be (my daughter who is half Chinese and half Pakeha)? I had taken steps to engage more with the Chinese community locally, and recently became a board member of the Waitakere Ethnic Board. So I guess you could say I also took on the workshop under more of an official capacity too, on what it means to be Chinese in New Zealand so I could share back and serve in my new role, at least that’s what I told myself! I found Alice’s workshop so immensely powerful. The experience shook me to the core. Particularly Alice, whose facilitation skills are simply second to none. It was hands down the best workshop experience I’ve ever had in my life. If it wasn’t for her phenomenal skills during the weekend workshop at Massey University on “What is Chinese,” there is not without a doubt in my mind, I would not be here today. She created an environment where I felt safe to share, discuss, and probe into my deepest and darkest and most vulnerable places. I had to be involved in the show. Were there any challenging moments for you, throughout the creative process? Either personal challenges or social ones? JP: It was difficult to hear some stories outright criticising China: about how awful the country and the people are, and how the narrator tried to separate themselves from that culture even though they are Chinese as well. I’m not saying they were lying in the story, but just the way the story was being told, using the words “everyone,” “all the time” or “always” instead of focusing on a specific person or case. So when I heard that story would be in the show, at that moment I felt: I don’t want to be part of the show anymore, because I don’t want people think I stand by this person’s opinion. I love my country and I know how my people truly are. However, when I told Alice about my concern, she realised that it’s problematic, so we made a few changes. Then I felt I was glad to be part of the show, otherwise the awful stories would be told in front of everyone! And what does that do except demonise China and Chinese people again, making us fit within the image of what western media wants us to see. LQ: I definitely got a sense that this is not an easy subject to talk about. It’s finding the line to be critical of our own culture and community but in a way that doesn’t perpetuate the stereotypical narrative. Like Jiheng, I also got the feeling that certain stories were generalising and criticising Chinese-ness from a western perspective, kind of like from the outside looking in. Maybe this is because of subconscious internalised racism or maybe those truly are their opinions. There were definitely stories and moments that doesn’t sit well with me. But it is a tough one because we also need to honour and respect other people’s realities. But generalising the Chinese community into the one specific narrative that has already been told millions of times is not really that useful in opening up the conversation that we need to have. There were also some not-so-nice comments people left on Facebook, a tiny backlash if you will. But to me that really asserts how important it is to raise these questions and that these issues really exist. AZ: Initially, it was being afraid to be completely honest with myself and in front of the cast during the exploratory stage. But then, as I was able to open up and reveal myself, be vulnerable, that was when the magic started. I was able to eventually harness the energy and spirit that comes from being totally and utterly open about the hurt, the ugly, the pride, the funny, the banal and everything in between. Towards the latter part of the show, as it was beginning to take shape in its final form, I felt the need to distance myself from the narrative. I started to feel that it was no longer ‘authentic’ and that I was no longer living ‘in the moment’ of discovery but was rehearsing and regurgitating something that had already been said. It was no longer shocking or surprising. I guess it started to be less about me at this stage, and more about the show. I also had a lot of internal arguments with myself. Throughout the process I also struggled with my feelings towards pro-China vs anti-China stances that some of the other cast members presented. I became aware of the extent of my own romanticised images of what China is and can be. Like Jiheng and Molly, I found myself being angry when some anti-Chinese statements were presented, even though they weren’t about me or directed towards me. I was playing on the defensive and offensive. I was stuck being both constantly Chinese AND Other, and Other and Chinese, flipping between “they/them” and “we/I.” It all makes for an interesting Venn diagram. Being in all of the quadrants, simultaneously. What did you take away or learn from working on OTHER [Chinese]? JP: We see race-based issues on TV, in the newspaper and on the internet all the time, and you know that’s true, that’s what really happens, but it always feels like there is a distance between us and the stories. Kind of like fairy tales, but real ones. It wasn’t until there was someone is sitting in front of me and telling me their stories through their mouth – that was the moment I felt: that’s true, that’s what really happened and is happening. LQ: It was incredible meeting all the people and being able to hear about their stories. It’s crazy how small mundane things can be super profound and powerful in ways I never noticed before. And I think in the process we were all learning and investigating our Chinese identity together. Also it was absolutely amazing working with Alice, she is super passionate and crazy talented. She is like this artist role model that I never had. AZ: I came in knowing that ‘being Chinese’ is complicated and that the definition of ‘What is Chinese’ was complex. I now leave knowing that it’s still so complicated, oh so complicated, but I’m happy for it to be. There’s some resolution in that. I wanted to solve it or find a tidy answer of what being Chinese is in New Zealand but I have come out being ok with that notion that there is no tidy answer. I have also come out more grounded, in my own sense of self. I think I’ve formed quite a deep understanding of the stories of my other cast members. I have heard, seen, and felt their individual stories. I have also taken away the importance of this dialogue and conversation. And the need to continue this dialogue. It doesn’t end here. The show doesn’t end here. There’s a bigger thing we are grappling with and it will continue to live, breathe and hopefully be processed. Chinese-ness is living and constantly evolving. Why should we go see this live documentary? LQ: If you want to see radical innovative theatre you should see it. If you want to hear funny sad angry inspiring stories you should see it. If you’ve struggled with your Chinese identity you should see it. If you care about art you should see it. If you care about gender and sexuality you should see it. If you care about the elections you should see it. If you are thinking of voting for NZ First you should see it. If you think Chinese people are the problems we don’t have jobs or houses, you should definitely see it. AZ: If you are Chinese you need to! So that you can hear how different being Chinese is from your own brothers and sisters and let the differences challenge you and make you feel at home. For everyone else, particularly people with Chinese friends or Chinese people in their lives (or anyone not living under rock because if you haven’t noticed, Chinese people are everywhere), you need to see this! So that you can see side that might never be freely exposed to you. And without seeing or knowing that this other side exists you will never fully come to know them or truly encounter them. JP: No one has to see the show, but it’s a good opportunity to get to know this group of people who you might not bother to know otherwise. Lin Qianye (Molly) is a student, art maker, tea drinker, scuba diver, Chinese. Jiheng Peng is a second year student at Elam, where art is 66% of his life. He makes art about nothing in particular except what interests him. He is a self-confessed outsider (a la Albert Camus) and an observer of life, and doesn’t really care about anything, except perhaps when things happen, he does care. Annie Zhang is a New Zealand-Chinese, and Chinese-New Zealand mum, daughter, wife, friend and career woman but not necessarily in that order. OTHER [Chinese] is on at Q Theatre from 7 – 16 September 2017.